As the new season begins, it feels as if both Chelsea’s fans and Jose Mourinho have got their wish. When Mourinho and Abramovich parted ways back in 2007, there was the sense that the Russian owner had jumped the gun. In the subsequent years, Chelsea have experienced both highs and lows, and it seems that Abramovich is now prepared to admit he may have made the wrong decision. In spite of having great success at Inter Milan and Real Madrid, Mourinho was more than happy to return to England and his beloved Chelsea. Mourinho has had poor relationships with the press in both Italy and Spain, and spoke regularly of his desire to manage in England again. This time around though, the English press and fans are wise to Mourinho and his ways, if he was to gouge an assistant coach’s eye he might find that the novelty has worn off. Although it’s unlikely with a manager of his stature, but if Mourinho was to fail he risks tarnishing his Premier League legacy. Luckily for him, he’s got arguably the best squad in the division. 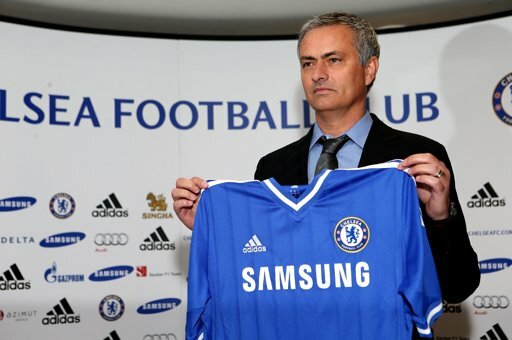 When Jose Mourinho arrived in England in June 2004 he anointed himself “The Special One”, now he goes by “The Happy One”. If this is genuinely the case it could be great news for Chelsea, as it would seem more likely that Mourinho would then be content to stay at Stamford Bridge long term. With the departure of Sir Alex Ferguson in Manchester, Mourinho may well view this as his opportunity to create his own dynasty at Chelsea. The Portuguese manager’s journey to this point began after a far from illustrious career as a player at clubs like Rio Ave and Belenenses. When his playing career came to a close at the age of 24 due to a lack of pace and physicality, the young Mourinho focused his attention on coaching. When the opportunity came up for a young coach to act as translator for Bobby Robson at Sporting Lisbon, he seized it with both hands. Although originally way down the pecking order in terms of the decision making process, Mourinho impressed and got in Robson’s ear. This led to him following the legendary English coach as he moved on to Porto, and then Barcelona. When Robson was replaced by Louis van Gaal, Mourinho stayed on as assistant learning from another of Europe’s great coaches. By the time the year 2000, came around, Mourinho had built up his reputation as coach and was given the chance to manage at Benfica. His spell at Benfica was very shortlived though as despite an impressive start, Mourinho found himself embroiled in the politics of a presidential election. After nine games he’d had enough. After a brief spell at União de Leiria, where over a season and a half they dramatically overachieved, Mourinho became coach of Porto. Spending two seasons at Porto, Jose collected two Portuguese titles, a Portuguese Cup, a Portuguese Super Cup, a UEFA Cup, and most importantly the Champions League. This brought him to Chelsea where he won an impressive five major trophies in his three full seasons, including Chelsea’s first league title in 50 years. Since leaving Chelsea the last time around, Mourinho has added titles in Spain and Italy as well as another Champions League to his trophy cabinet. This has made him one of the most decorated coaches in the world game. The big questions that are currently unanswered about his second spell at Chelsea relate to the style of play he will advocate this time around, and how he will treat the players who remain from his first time in the hotseat. Spaniard Juan Mata was the heartbeat of the Chelsea side last season and will likely be so for years to come. He is blessed with natural abilities that can’t be easily learned. Not many players in world football have his vision, both when it comes to making passes, and finding space to run into. Constantly moving, and floating in between the lines of the opposition’s midfield and defence, Mata is almost impossible to mark with his combination of pace and agility. 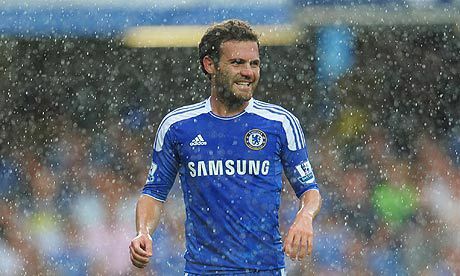 In his two seasons at Chelsea, Mata has scored 32 goals and assisted 59 times across all competitions. Not many players in the world currently contribute at such a high level, particularly from midfield. This makes the Spaniard an invaluable asset who will single handedly win points for Chelsea over the course of season. When you combine him with the likes of Eden Hazard, Oscar, Andre Schurrle and Kevin de Bruyne, Chelsea have a group of creative players that could well be the difference maker in this years title race. Last season, when Mata didn’t play, Chelsea often struggled, with this in mind, any injuries to their midfield maestro could well derail the Blues’ title challenge. Off the back of a strong season from a group made up of many young players who are still learning how to play together, Chelsea are in pole position to capitalise on the uncertainty that surrounds the likes of the Manchester clubs. While Mourinho is a new voice for most of the Chelsea dressing room, the likes of Lampard, Terry, Cech and Ashley Cole are more than familiar with his methods and should play a big part in helping everyone adjust at an accelerated rate, allowing Chelsea to hit the ground running. Chelsea still have solid foundations with the likes of Cech, Cole, Ivanovic and Lampard, while the likes of Hazard (pictured below), David Luiz and Ramires took significant strides in their development last year and will look to repeat that this season. 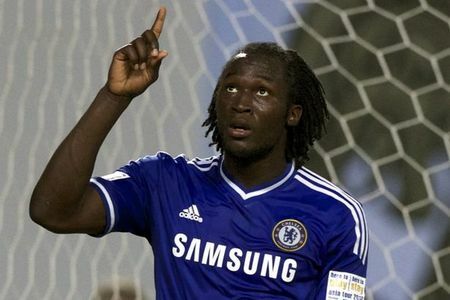 Chelsea also have strong forward options too with Torres and Ba joined by the returning Romelu Lukaku (pictured above). Having scored 17 league goals on loan at West Brom last season, the powerful Belgian could well play a central role in the new Mourinho era at Stamford Bridge. 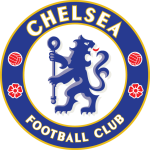 Add to these the raw talents of Kevin de Bruyne and Marco van Ginkel and Chelsea are in prime position to launch an all out assault at regaining the title. There is every chance Mourinho will be photographed with more silverware come May.